Palm Kernel Expellers, the first oil seed crushing equipment manufacturer in India. Our 70 years of experience and expertise, has lead us to become a world class manufacturer in the oil mill industry. A highly specialized research and development team ensures that all machinery meets international technical standards. The triple helical gear box is state of the art technology and energy efficient. It is made as per European Standard and is CE certified. Maximizing oil extraction from palm Kernel. Low investment - easy to install. Efficient with low operating cost and higher productivity. Alloy steel with ultrasonically tested screw shaft. Low residual oil content in second press cake. Reducing internal wear and tear. Low power consumption per tonne. We, Kumar Metal Industries Pvt. Ltd. , are established as Proprietorship in 1939 and later reconstituted into a Private Limited company in 2007. 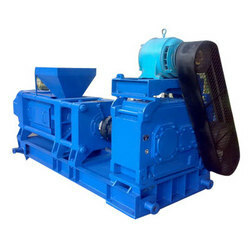 With 70 years of experience, we are able to fabricate flawless range of crushing equipment and other allied equipments such as oil expeller, oil expeller machine etc. Our range comprises Oil Expeller - 25 Tons Per Day, Palm Kernel Expeller (Pk 25), Oil Expeller - 130 Tons Per Day, 50 Tpd Oil Expeller and more. Our organization is committed to offer our performance oriented equipments to varied industries, as they are well known for its features like efficiency, capacity and low power consumption. Our cutting edge technology enables us to fabricate and offer our range as per the requirement of our renowned clients such as international crown iron works, U.S.A, Europa crown, U.K. Bidco, Kenya Ghana nuts ltd., Ghana and more. We also have forte in setting up turn key projects in oil mills, solvent extraction plants, oil refineries and are the active member of Federation of Indian Export Association (FIEO). Our modern production facilities, engineering excellence and dedicated approach of our team has made us supply our comprehensive range in the markets across Europe, Asia, Africa and Australia.